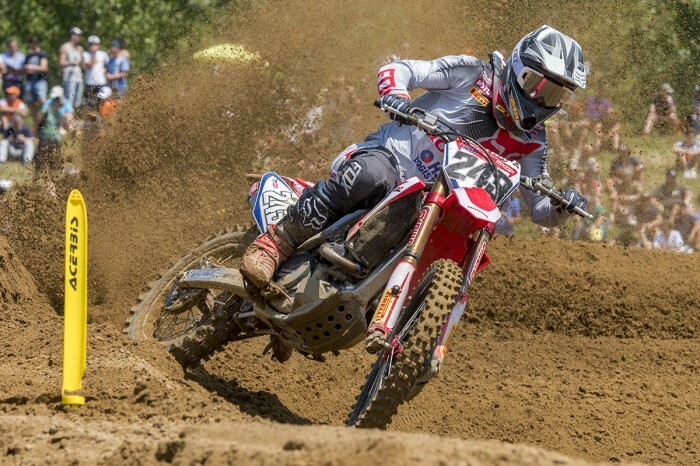 Team HRC’s Tim Gajser missed the podium by one point at the MXGP of Lombardia at Ottobiano yesterday but he was happy to claim second in race two after picking up sixth in the opening moto. The Slovenian former champion finished 14th in Saturday’s qualifying race following a first turn crash which meant his gate pick for Sunday’s main races wasn’t favourable. “I’m quite happy with the speed I showed,” he said. “I think the damage was done in the qualifying race because it was hard to get a good start with such a poor gate pick as I ended up being far on the outside. “My jump out of the gate in race one was actually horrible but I managed to come through the pack and finish sixth which was okay but surely not what we were aiming at. I took a better start in race two and make some quick passes at the beginning, led a couple of laps which felt awesome and then finished second.